WILLEMSTAD – In a press release, the Giro Bank officially reacted to the news about the ruling of the Court of Appeal on the bankruptcy case of Giro Holdings. The press release indicates that on May 23, 2017, the Common Court of Justice of Aruba, Curaçao, Sint Maarten, Bonaire, Sint Eustatius and Saba confirmed the bankruptcy of Giro Holdings Inc. This was the confirmation of the ruling of March 2, 2017. But in that same press release, Giro Bank emphasizes that the bankruptcy of Giro Holdings has no consequences for the banking services of Giro Bank Inc. and especially for the clients or bank creditors. 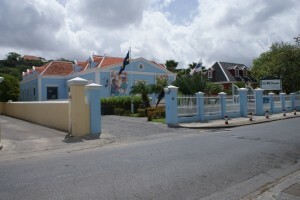 As was reported earlier, the Court of First Instance in Curaçao in a deposition of December 16, 2013, and according to Article 28 of the 1994 Banking and Creditor Decree and also as requested by the Central Bank of Curaçao and Sint Maarten, the bank was placed under strict supervision. That ruling is still valid. According to the Giro Bank, that request was precisely to protect the clients. Since that supervision, the Central Bank has appointed professionals to take over the daily management of the bank. Giro Bank guarantees to both its employees and its clients that their services will continue without any problems.